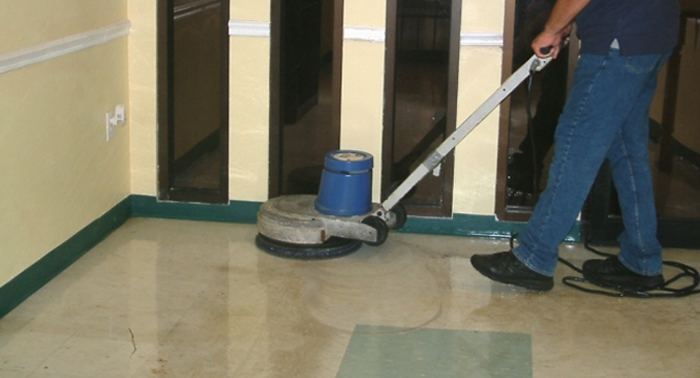 Crest Cleaning Services provides commercial and industrial Seattle floor waxing and understands that it takes considerably less time to maintain a floor than it does to restore one. However, many people don’t maintain their floors and that is when they contact us. There are many different steps to floor restoration required to restore a floor properly. The first thing that has to be done is to analyze the floor. There are many different type of floor materials including hardwood, ceramic, no wax, vinyl, slate, terracotta, antistatic, ESD, Forbo, Marmoleum, laminate, linoleum, vinyl composite tile (VSY), sealed cement, and marble floors. Then the floor has to be vacuumed properly to pick up any loose debris and dirt. Next the floor has to be stripped properly. Then the floor has to be waxed and sealed. Lastly the floor has to be buffed, honed, and sealed to bring out the high gloss shine in the floor. An attractive floor can make quite a difference to any home or business. In the retail store a cosmetically appealing and clean floor can substantially increase sales. Floors are a considered very important in many different areas such as home bathrooms, condominium kitchens, business lobbies and many other areas. In order to add longevity to our customer’s floors and to prevent grime and dirt from penetrating through the wax, we use a high powered propane buffer to harden and warm the wax. We also use environmentally friendly wax specifically designed for our customer’s particular floor as well as state-of-the-art high speed buffing and polishing equipment. Stripping and waxing is necessary because of the buildup of old wax. Old wax makes any floor look dingy and dull and isn’t good for the floor. Our floor technicians are reliable, dependable, well trained, experienced, and experts at what they do. They can many any floor look like new again and are the primary reason why we enjoy such an outstanding reputation in the Seattle area. Our number one concern is our customers’ satisfaction with the floor work we do. Our commercial floor waxing programs are also very cost effective. Crest Cleaning Services provides commercial and industrial Seattle floor waxing and offers the best industrial floor waxing service in the entire Seattle, WA area. We provide our customers with a great opportunity to have their dull and dingy floors look like new again at a competitive and affordable cost. Once our customer’s floor looks bright and shiny again, they only have to maintain it by keeping it clean and buffed with a high speed buffer on a regular basis. In addition to a great appearance, a floor that has a smooth glossy finish has many other advantages. For example, rather than sweeping, a smooth glossy floor can easily be dust mopped, although vinyl floors shouldn’t be swept. The reason for this is that sweeping distributes large amounts of particulate dust and matter into the air. A smooth glossy floor is also easier to keep clean and will actually last longer. Another advantage of commercial floor waxing is that it will prevent water from soaking in the floor, particularly hardwood floors. Floor waxing prevents the floor from getting stained or scratched and is especially important on hardwood floors. We only use the best waxing equipment and wax that is appropriate for our customer’s floor. We strive to build a long term relationship will all of our customers by doing quality work. We have numerous years of experience and have earned an outstanding reputation in the greater Seattle area. We can provide a clean and shiny floor that will be one of the most impressive features of any building. Attractive and well maintained and attractive floors will provide a safe and clean working environment and enhance the professional image of any home or business. It’s a well-known fact that regular floor waxing will keep the surface of the floor looking its best and will help to extend the longevity of the floor’s surface. When our customers hire Crest Cleaning Service to provide commercial and industrial Seattle floor waxing, a professional floor waxing business, they can rest assured that they are getting a team of fully trained, experienced, and reliable, who are knowledgeable about waxing floors and will make their floors look like new again. High traffic areas usually appear prematurely aged as a result of being dull and dingy. Our commercial and industrial floor waxing business can restore the natural beauty of any floor. Floors require special care and using the wrong tools or wax products can result in damage or discoloration, or both. The main advantage of using us for our customers’ floor waxing needs is that their floors will look almost new without suffering any kind of damage. In order to prevent any kind of damage from wear and tear, floors should also be sealed. Crest Cleaning Services offers excellent commercial and industrial Seattle floor waxing and will also provide a no obligation, free estimate upon request at the customers’ convenience. Our only objective is 100% satisfaction from our customers.